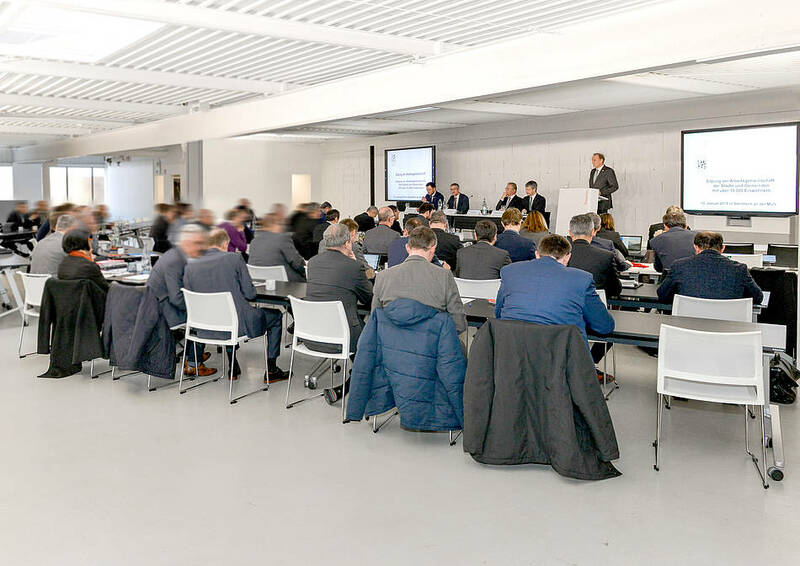 The working group of cities and communities with more than 10.000 inhabitants held its conference on 10.01.2019 in the exhibition rooms of fröscher GmbH. More than 80 heads of cities and municipalities from Baden-Württemberg were invited to the conference. The city of Steinheim had found a suitable location in the fröscher-Forum as host municipality. From the professional equipment, the perfect infrastructure, the suitable room size, a parliamentary seating and table arrangement, digital presentation possibilities, an exemplary sound quality, up to the Swabian catering and suitable parking solutions, were for the city of Steinheim as this year's host the requirement. It's good to know that the city of Steinheim has an experienced partner at its side, fröscher, whose exhibition forum masters all the challenges and demands of major events. Mayor Winterhalter was able to greet his guests relaxed at the PSE lectern and was happy afterwards that everything "worked out wonderfully". 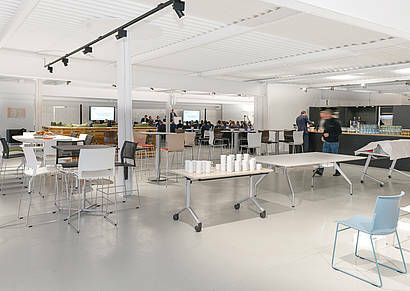 With the flexible safety swivel table CTZ flip stop and the ecological stacking chair klif at its side (klif consisting of 100% recycled plastics), an ideal seating arrangement for 80 people could be created. Short viewing distances, good speech intelligibility and the proximity to the podium were a special experience for all participants. The presentation of the speakers was competently supported by the MICO-2 media steles. The program and information points were played on the installed 75" large screens. The microphone units of our cooperation partners Beyerdynamic and Harmonic Design provided a perfect sound. We would like to thank the Community Day of Baden-Württemberg and the city of Steinheim for their trust in fröscher GmbH.